Love Life One Year Celebration-Vero Beach Florida. 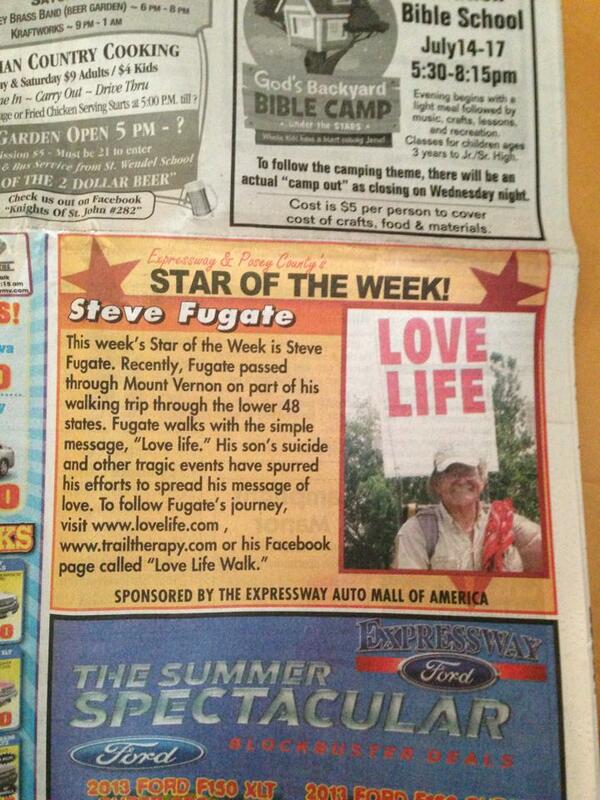 Look Steve you made the “star of the week” in our local newspaper!! Hope you’re doing good!! Hey Steve, when will you be by San Jose, CA ?